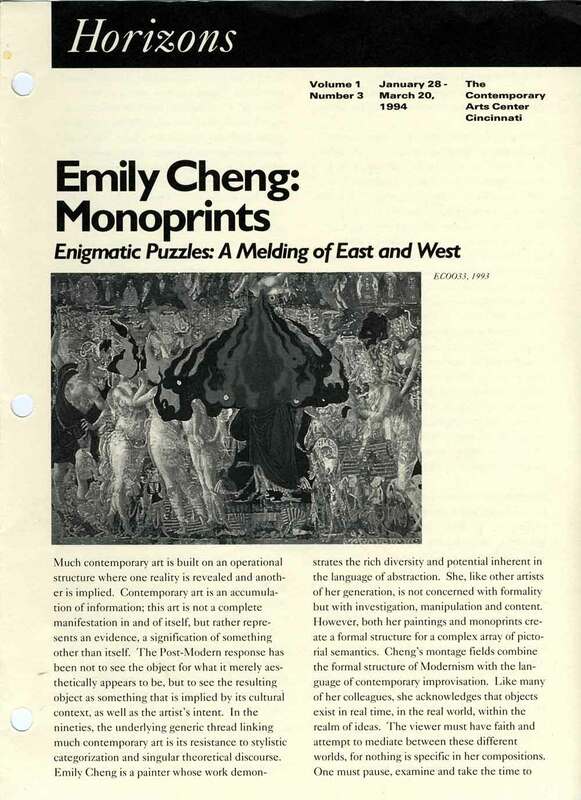 Exhibition brochure for "Emily Cheng: Monoprints" at the Contemporary Arts Center Cincinnati, Jan 28-Mar 20, 1994. 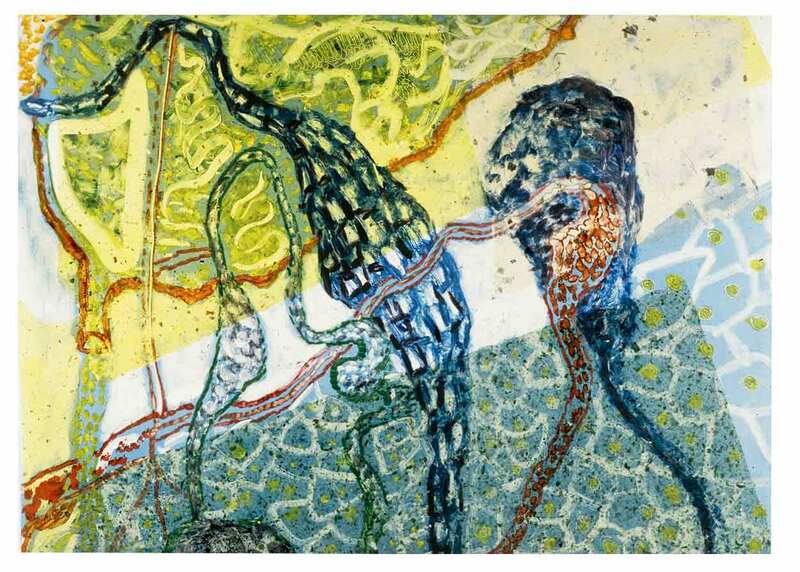 Text by Elaine A. King.